Each year we have an incredible team of dedicated participants take part in one of the world’s most popular half marathons. Part of a weekend of sport in the city of Newcastle, the Great North Run is a truly amazing event. Alongside 56,000 runners, the exhilarating 13 mile course takes you through the landmarks and sights of Newcastle before crossing the finish line in South Shields. 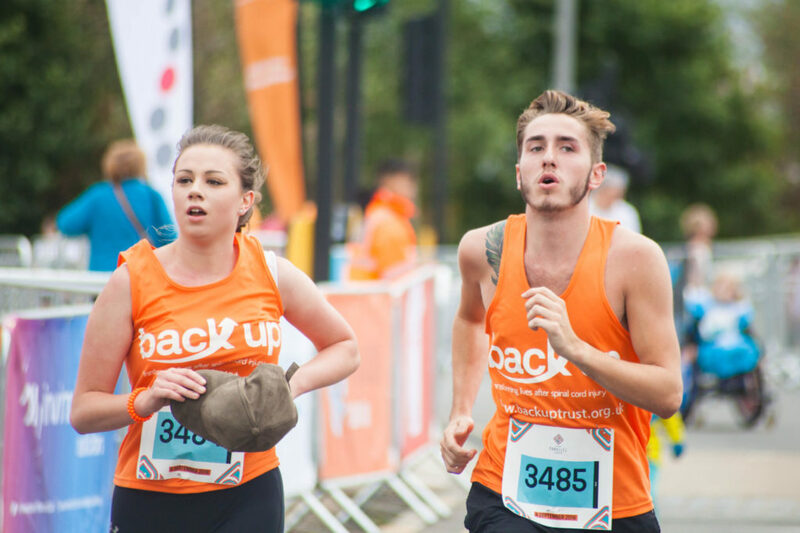 Get in touch now or fill in an application form to join our Great North Run team in 2019. We’ll have an amazing Back Up cheer team to motivate you on the day! If you would like to take part in this amazing challenge or would like more information then please give Alex a call on 0208 8875 1805 or send her an email.